Stellan Skarsgard at the world premiere of "Mamma Mia!" 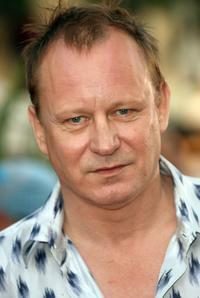 Stellan Skarsgard as Bill Anderson in "Mamma Mia!" 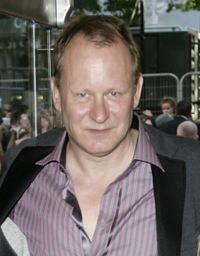 Stellan Skarsgard as Dr. Erik Selvig in "Thor: The Dark World." 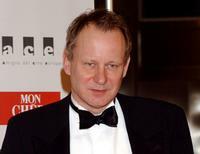 Stellan Skarsgard at the European Film Awards 2004. 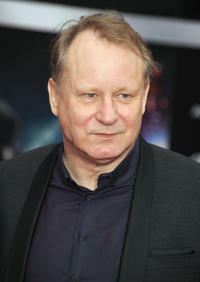 Stellan Skarsgard at the European premiere of "Pirates Of The Caribbean: Dead Man's Chest." Stellan Skarsgard and his family at the European premiere of "Pirates Of The Caribbean: Dead Man's Chest." 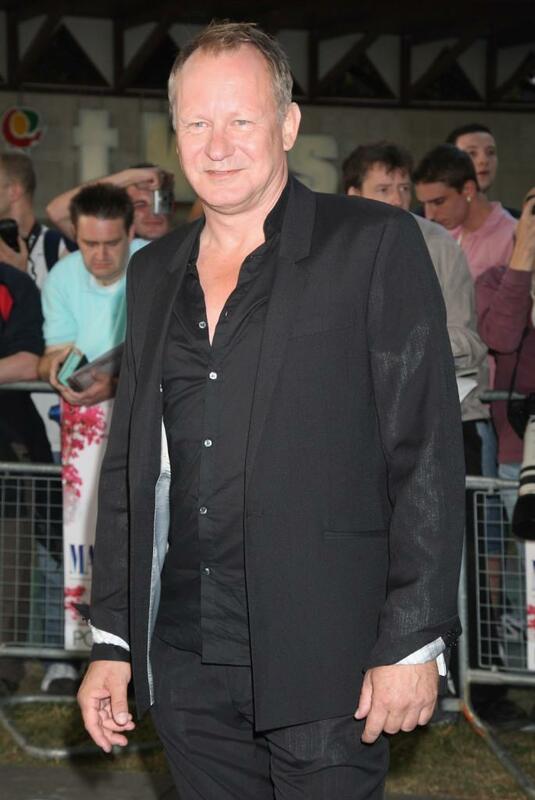 Stellan Skarsgard at the world premiere of "Mamma Mia." Stellan Skarsgard and Guest at the after party of the UK premiere of "Mamma Mia." Nicole Kidman and Stellan Skarsgard at the premiere of "Dogville" during the 56th International Cannes Film Festival 2003. Director Renny Harlin, Izabella Scorupco and Stellan Skarsgard at the premiere of "Exorcist: The Beginning." 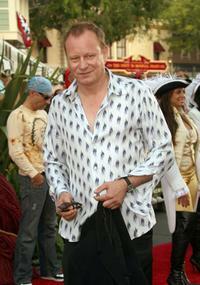 Stellan Skarsgard at the world premiere of "Pirates of the Caribbean 2 Dead Man's Chest." 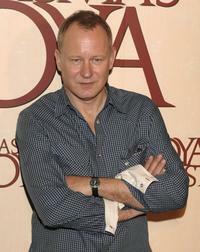 Stellan Skarsgard at the photocall for "Goyas Ghosts." Stellan Skarsgard and Milos Forman at the photocall for "Goyas Ghosts." Stellan Skarsgard and Randy Quaid at the conference for the promotion of "Goyas Ghosts." 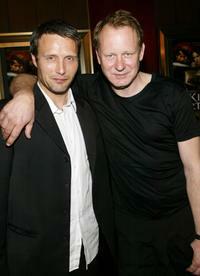 Stellan Skarsgard and Mads Mikkelsen at the world premiere of "King Arthur." 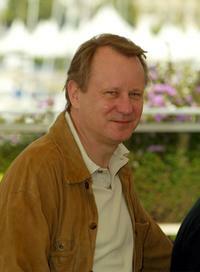 Stellan Skarsgard at the "Dogville" photocall at the Palais Des Festival during 56th International Cannes Film Festival 2003. Stellan Skarsgard at the world premiere of "King Arthur." 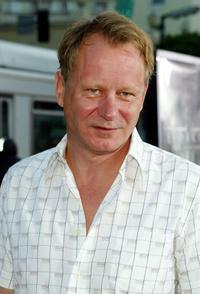 Stellan Skarsgard at the premiere of "Exorcist The Beginning." 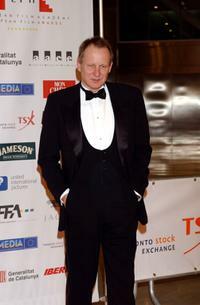 Stellan Skarsgard at the "European Film Awards 2004." 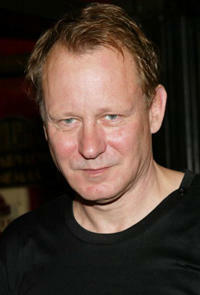 Stellan Skarsgard at the New York premiere of "The Girl With The Dragon Tattoo." 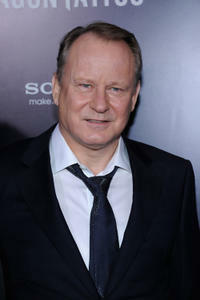 Stellan Skarsgard at the California premiere of "Marvel's The Avengers."